This past January 31st to February 1st, the Frank Hawkins Kenan Institute of Private Enterprise held its annual Frontiers of Entrepreneurship Conference in Palm Beach, Florida. This conference gathers 150 thought-leaders from the world of academics, industry, and government to discuss the most pertinent issues facing entrepreneurs and the field of entrepreneurship research. As leaders of the high-impact entrepreneurial movement around the world, Endeavor had a strong presence at the event. With several of our Entrepreneurs and staff participating as discussion leaders and speakers during the sessions. The conference was broken down into plenaries and workshops with the aim to create a mutual understanding of vital issues and identify key questions that future research should tackle. One of the workshop sessions, titled “Founding Teams” focused on the dynamics between co-founders and how crucial they are to the success of new ventures. Professor Michael Freeman from the Department of Psychiatry at UCSF School of Medicine presented a preview of his work studying these relationships. He detailed the importance for entrepreneurs to manage their emotions in order to regulate their organizations and how that plays into the co-founder dynamic. Endeavor Entrepreneurs Jackie Baumgarten from Boatsetter and Emiliano Abramzon from Nearpod spoke about their own experiences being part of a founding team. 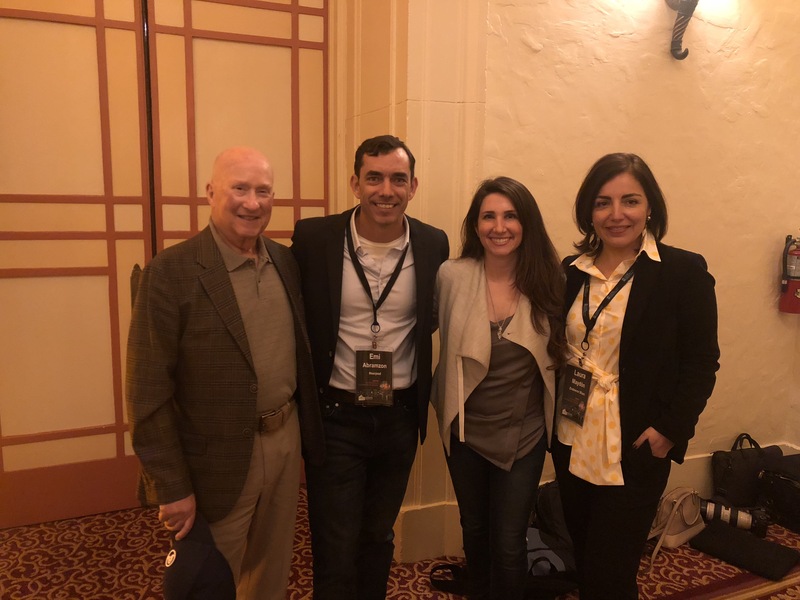 Laura Maydón, Endeavor Miami’s Managing Director participated in a different workshop tackling the subject of “Principled Entrepreneurship.” The panelists spoke about the importance of this subject and discussed the necessity of it being taught at business schools. Maydón focused on the link between high-impact entrepreneurship and principled entrepreneurship and opened up the floor to discuss whether they are one and the same or mutually exclusive. 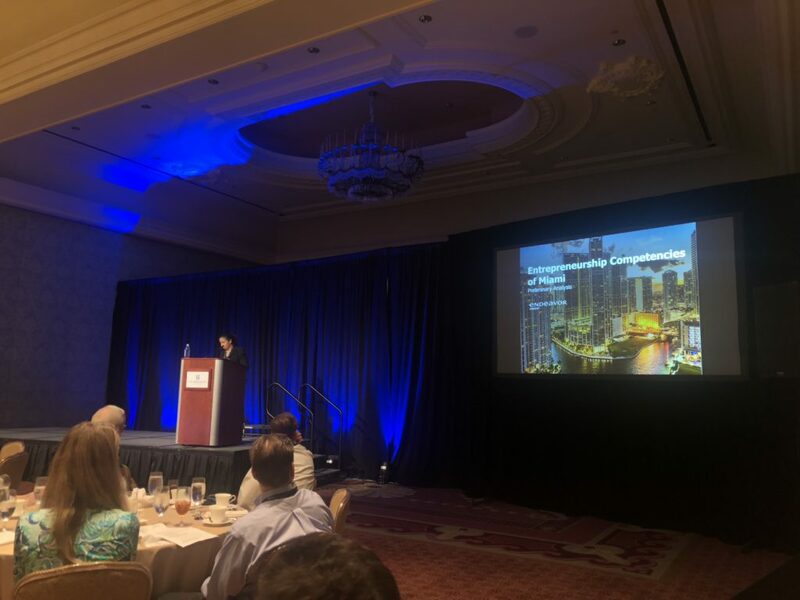 Maha AbdelAzim, from Endeavor Insight spoke to the entire audience during the closing luncheon. She presented highlights of the South Florida ecosystem research project Endeavor Insight is currently conducting in partnership with Knight Foundation, which will be available later this spring. The Kenan Institute believes that “entrepreneurs are the foundation of the free enterprise system and seize opportunities to start new businesses despite considerable risks.” We would like to thank them for inviting Endeavor to be a part of these thoughtful and insightful conversations to determine the future of entrepreneurship research.